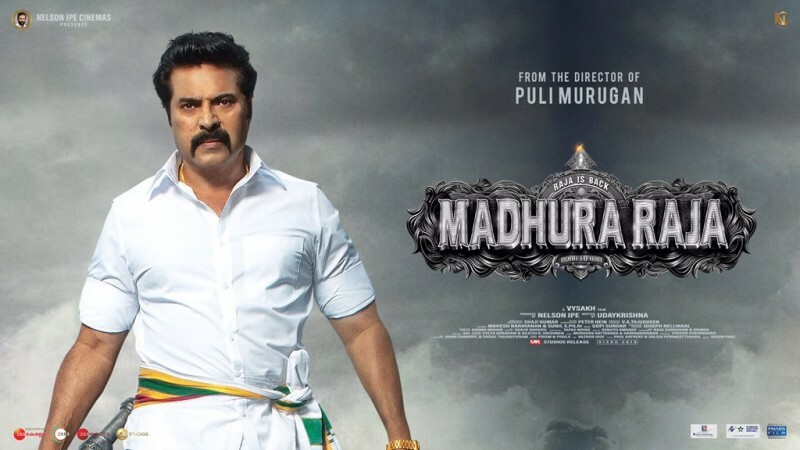 Madhura Raja movie review live updates: Director Vysakh's Malayalam movie Madhuraraja is an action drama film starring Mammootty, Jai and Jagapathi Babu. Scroll down to read audience response. Director Vysakh's Malayalam movie Madhura Raja featuring Mammootty, Jai and Jagapathi Babu in the lead roles has received a positive review and good rating from the audience. Madhura Raja is an action drama and Udaykrishna has written the script for the film, which has been produced by Nelson Ipe under his banner Nelson Ipe Cinemas. The movie has received a U/A certificate from the Censor Board and its runtime is 2.30 hours. Madhura Raja movie story: When an illegal hooch baron's reign of terror troubles an entire village, the people turn to the only man who can save them: Raja, the flamboyant don with a heart of gold. Analysis: Madhura Raja deals with a routine story, but Vysakh's fresh treament makes it a mass entertainer. Mammootty has delivered fantastic performance, which is the highlight of the film. Other actors have also done good jobs. The film has good production values and music, camera work, action choreography and dialogues are the attractions on technical front, say the audience. #MadhuraRaja First Half - Fantastic first half with all mass masala elements working out. @mammukka is super energetic with his mass scenes as well as comedy numbers. Family elements worked out to the core. Fabulous! @rameshlaus @LMKMovieManiac @sri50 @SunnyLeone #MadhuraRaja -An out and out mass entertainer where all elements of the formula worked to the core. @mammukka at his meticulous best.Excellent direction by #Vysakh.Technical department top notch. Blockbuster ! #MadhuraRaja Megastar's Power Packed Show off As Singam Thalaiva with high Voltage Ultraviolent Superblastic Fight scenes and Massive Punch dialogues which will make whistle inducing clap worthy electrical boogaloo. #Madhuraraja interval...neat and racy so far with the usual Raja jokes. Entertains!